90s RPG titan TORG is making a comeback via Kickstarter. While that is great news, that old Drama Deck you've got lying around is already the perfect tool to spice up your Cypher System combats, whether you are Storm Running in the Possibility Wars or playing in any other cinematic setting. Try it in Numenera to give the game a more "Star Wars" feel, in The Strange to make that game even more TORG-like, or any other Cypher game where you want a Hollywood summer blockbuster feel. So dig out those decks and read on. This Cypher System rules variation uses the old TORG drama cards to recreate the ebb and flow of action commonly found in adventure stories and films. First, the GM deals a hand of cards to each player character equal to the number of Cyphers the character can bear. The rest of the cards are placed into a pile on the table, aka "the Drama Deck." When cards are discarded they are placed face up into the discard pile to the side of the Drama Deck. When cards are flipped by the GM they are placed in front of the deck in the Action Stack. During normal scenes, when the player characters are searching a room, discussing amongst themselves, etc., time passes about the same rate in game as it does in real life. At these times, cards may be played at any time during the scene. During a scene that involves a chase, combat, or other conflict, action is divided into rounds. During a scene with rounds, only one card may be played each round. Each round the gamemaster flips a card from the drama deck and places it on the action stack. Even if the action is not combat and is not proceeding in 10-second incriments, the gamemaster might still flip cards to mark the beats and to regulate the amount of action each character performs in a given part of the scene. The cards affect the flow of the action by giving initiative to one side or another, and by introducing additional dramatic elements. The cards have text which explains many of their functions. The GM sets the tone of a scene depending upon how important the scene is to the story. Ordinary scenes are called standard scenes. In a standard scene, the player characters have the edge; the pace is quick and the action fast. In a dramatic scene, your party is faced with a tough situation or conflict central to the story. The cards are stacked against you -- only clever play, good cards, or luck will save the day. The pace is slower and more intense, as there is more at stake and the odds are greater. 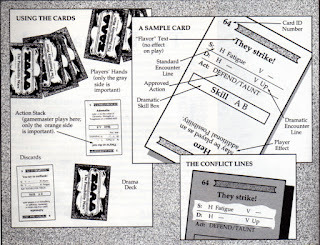 The card on top of the action stack determines which side of a conflict has initiative and what advantages or disadvantages, if any, the sides have. 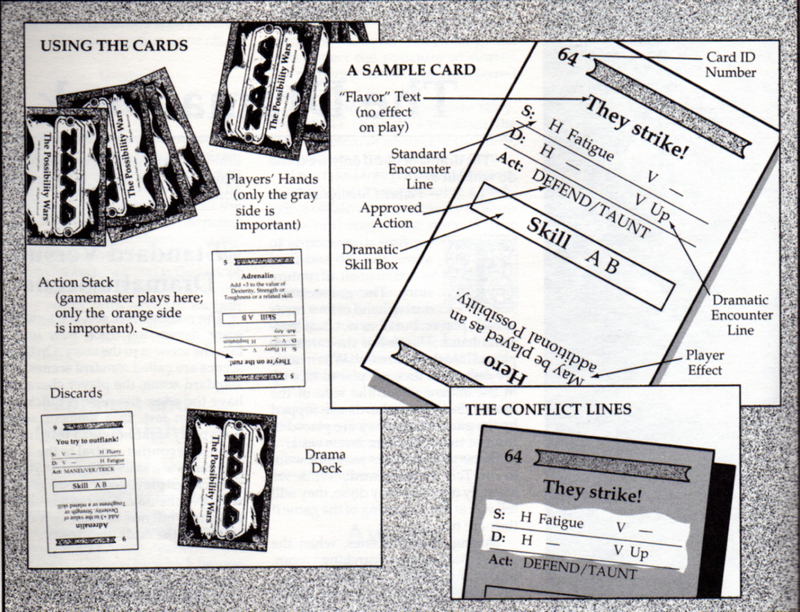 The deck assumes there are two sides to any conflict: the hero side, consisting of player characters and their allies, and the villain side, which is composed of all of the characters opposed to the heroes. If the action includes true neutrals, those who are simply caught in the way, they are lumped with the heroes for card purposes. The faction listed on the left half of the encounter line has the initiative. An H stands for hero and V for villain. Any other advantages, disadvantages, or instructions are listed next to the appropriate faction. A faction can have one of the following advantages: flurry, inspiration, or up. A faction can have one of the following disadvantages: break, confused, fatigue, stymied, or setback. A —- means that no advantage or disadvantage is in effect. The dramatic text above the conflict line (“They’re on the run!”) is included for flavor, and has no effect on play. Flurry: Each character gets 2 rounds of action before the other side can react. Inspiration: Heroes get an instant free recovery roll (d6+Tier) and add these points to any depleted pools. Villains get their Level back in Health. Up: All get a free Asset to any and all rolls (in addition to any other Assets), essentially lowering all Difficulties one level that round. Break: Villains only. Damaged characters who fail to hit will flee. Confused: No player may activate a card from her pool. Fatigued: All characters take 3 points of "shock" damage, due to fatigue, stress, or similar depletion. Setback: Triggers a free GM Intrusion against heroes (no experience points). Stymied: All Difficulty levels for the characters are raised by one. For villains, the heroes get a free Asset to resist actions taken against them. Taunt, Test, Trick, and/or Intimidate: If villain succeeds in a skill use, may remove card(s) from opponent's pool. The cards dealt into your hand are separate from the rest of the drama deck. Ignore the part of each card with the H and V Conflict Lines; you are interested only in the half which gives you advantages over your opponents by increasing a skill value or bonus, or by allowing you to “break the rules” in some specific way. These cards are, essentially, Subtle Cyphers, and replace Cyphers in games using the Drama Deck. Player characters may play these cards directly from their hand, at any time during any scene. Note to TORG players that this adaptation does not embrace the idea of "card pools," one of the changes made to fuse the Drama Deck with the Subtle Cyphers of standard Cypher System rules. During each combat round, there are at least two actions that are designated as “Approved Actions.” If a character succeeds at an approved action, the player draws a card. If a villain succeeds at an approved action (certain conflict lines allow them to initiate approved actions for this purpose), the player affected by the approved action loses a card. Each action can only result in the gain of one card per round, but a character can earn multiple cards if he or she does multiple approved actions. If the conflict line allows “Any” approved action, a character can gain a card for each standard action category (Attack, Defend, Maneuver, Trick, Test, Taunt, Intimidate, Other). Attack/Defend: These are fairly self explanatory. Any successful attack or defense against attack earns a card. Maneuver: The character forgoes any action this round to move into a better position. This usually will require a Speed roll against the opponent's level. With a success, the character earns an extra Asset against his or her opponent the next round. Trick/Test/Taunt/Intimidate: The character outwits, stares down, harangues, or threatens his opponent in lieu of any other action. Trick can be an Intellect or Speed action that somehow fools or deceives the opponent. Test of Wills is a steely eyed stare-down (an Intellect action). Taunt is another Intellect action, but this time designed to enrage the opponent via verbal barrage, rude gestures, etc. Intimidate can be a Might, Speed, OR Intellect action depending on how the character choses to frighten his opponent. In all cases, roll the action against the opponent's level, adding in any appropriate Skills or Assets. Success stymies NPC opponents the next round; player characters, however, lose a card from their hands. The only time two uses from a single card affect the game at the same time is when a card is placed on the action stack during a conflict, and dramatic resolution is also in effect. Use both the upper and middle parts of the card in this case. In most situations, you will want to resolve an action or Test in a single roll. But there are times when it is desirable for the sake of drama to stretch out the resolution, to introduce tension that is not possible in single roll. For example, disarming a bomb falls could be done in a single roll. This misses the point, though, of disarming a bomb in a story; if that bomb was a important element in a movie, a considerable amount of screen time could be devoted to defusing it. For this reason, at such moments we prefer to use dramatic resolution. A dramatic resolution breaks down the use of a single action into four steps, labeled A through D. As GM you decide, preferably in advance, what each step repersents when preforming the task. You also need to define what the difficulty of the action is. Each step of a dramatic resolution has that difficulty. In a round a character may only attempt the steps that are listed on the top card of the action stack. To succeed at a dramatic skill resolution, a caracter must succeed at step A,B,C and D in that order. Succeeding at each step requires a die roll. Not only can dramatic actions take time, but things can make a character's life harded along the way. These include Possible Setback, Complication, and Critical Problem. Each of these effects occurs when listed, if the character fails his skill roll for that round.If he susseeds, he does not gain a step, but there is no penalty. Possible Setback: Failing when a Possible Setback appears causes the character to lose a step. If he had been on step C, something causes the character to slip back to step B: step C must be repeated. Complication: A Complication makes life more difficult. Failing the die during a Complication round adds 1 Level to the difficulty of all further rolls for this action. Critical Problem: Failing a die roll during a Critical Problem round is real trouble: now the character must use another skill to accomplish the task, or attack the problem from a new angle ( which would mean starting over from step A). 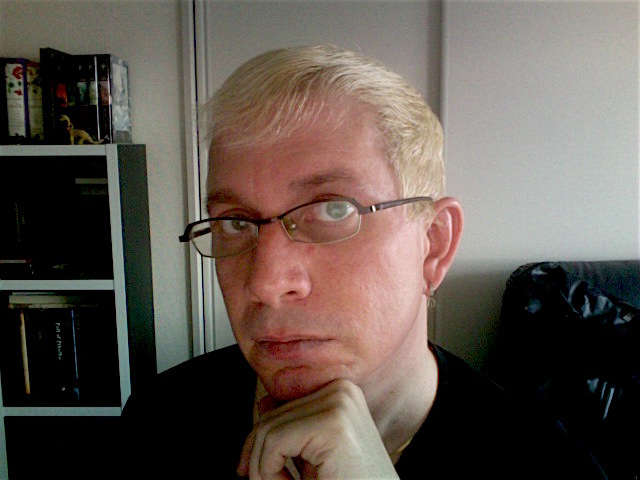 The player is responsible for figuring out the new skill or course of action: if it does not sound convincing, he must try a different task next round. Enemy action can actually remove cards from your pool through tricks, tests, and taunts used by the villains. If a villain successfully uses one of these skills on your character, the gamemaster may remove one of the cards from your hand. Players may trade eligible cards with other players on a one-for-one basis, and may make as many trades as they wish, but only with players whose characters are in the same “combat.” So if there is a combat in one room with a vampire, and another combat nearby with a werewolf, the players in each combat can trade with each other, but they can’t trade with people in the other combat. If the one group defeats the vampire, and then joins the fight with the werewolf, they can then start trading with the players already there. At the end of each scene, and at the end of each combat that occurs in the middle of a scene, the characters undergo the hand reset. The player is dealt enough cards to replenish his or her hand back up the maximum number. This happens at the end of combat; in combat, the only way to replenish cards is to attempt approved actions. There are three types of cards that don't count against your hand total. Once received, they must be immediately played. The exception is the Subplot card, which may be immediately discarded rather than played if the player doesn't wish to activate it. Once played, these cards remain on the table until they are used, or until the end of the adventure. These three types of cards are Alertness cards, Connection cards, and Subplot cards. This card allows a player to notice an otherwise unnoticed fact, clue, etc. It must be played immediately, face up on the table. The effect of this card usually ends once the card activates. Alertness does not count against your hand total. This card allows a player to find another character in the area who can help out in a situation. It is up to the gamemaster to determine who the connection is and what help is available. Again, this Subplot usually ends when the card activates. When a player plays a Subplot card, it immediately goes face-up on the table. If a player does not want the Subplot to take effect, he or she may discard it. Likewise, a gamemaster may feel a specific Subplot is inappropriate, and order it discarded, giving the character an XP as compensation. If it is appropriate, the character earns one XP at the end of every act in which the Subplot influences the story. Subplots are, essentially, ongoing intrusions. Subplots end when the adventure ends unless a Campaign card is played. Campaign: This card can only be played by a character with an active Subplot in effect. 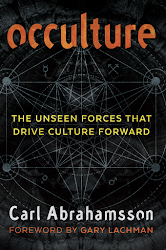 It allows the Subplot to influence other adventures beyond the current one. Martyr: This Subplot allows a character to prepare for his or her death, and at the appropriate moment, sacrifice his or her life to achieve a party goal with automatic success. It is important to remember that the character with this subplot in effect does not have to sacrifice his life, it is simply an option when all else fails. However, if you have this subplot in play and do not use it, you forgo an experience award that session (though experience is still gained by Intrusions). Mistaken Identity: This Subplot causes a character to make a mistake about another person’s identity. Nemesis: This Subplot causes a character to acquire a nemesis, who will take special attention to the character. Romance: This card introduces a romantic element into the story. It does not have to be reciprocated. Some of the more interesting story elements come from having someone having romantic feelings for a person who doesn’t notice what’s going on. Suspicion: This Subplot makes a character suspicious of another character’s actions or intentions. True Identity: As above, but the suspected identity is true. True Identity can also mean that the character discovers something about him or herself. These cards replace "Subtle Cyphers." Thus the character is only allowed to carry as many of them in his hand as his character type allows. Action: This card acts as an additional Asset to any single roll, making any Level 1 Difficult task automatic. More than one Action card can be played at once. Adrenalin, Willpower and Presence: These cards are grouped together because they do the same thing, only for different classes of skills. They allow a character to add an Asset to any tests that round. Adrenaline modifies Might and Speed tests, Willpower modifies Intellect tests, and Presence modifies Intellect tests for interpersonal uses (persuading, charming, intimidating, etc). Notice the modification lasts for the entire round. Coup de Grace: Increases the Damage inflicted by a character by 4 points...the equivalent of a natural 20. Note this does not effect the actual die roll, it just adds extra damage or allows the character to trigger a Major Effect. Possibility Cards (Hero and Drama): The Hero card replaces a die roll with an automatic result of 10, beating any Difficulty of 3 or less, or any Difficulty that has been lowered to 3 or less. The Drama card works the same way, but is an automatic natural 20, with all attendant benefits. Defiance: Grants an Asset to all skills and tests used to defend against 1 specific opponent until the end of the scene. Escape: This card insures that the group can escape an encounter alive. Glory: If played after rolling a natural 20 for a key action during a dramatic scene, automatically grants a 1 XP award to all players. Haste: Gives an extra action at any time during the round. Hero Fails: This card cancels one of your successful actions in exchange for 1-3 XP, based on the severity of the failure. Idea: This card lets you ask about what course of action your characters should take. You will receive at least one useful idea about the next course of action. Inspire: Use this card to trigger a free recovery roll (1d6+Tier level). Leadership: This card take the cards from your hand and give them to other players. You then draw cards to refill your hand. Master Plan: You may exchange a Master Plan for the top card of the discard pile. Monologue: This card stops hostile actions while you make a dramatic speech. Opponent Fails: This card cancels an opponent’s action that was aimed at you. If the opponent aimed at multiple people, only the result against you is canceled. Rally: This card allows all players in the combat to keep or discard any cards in their hands. Once all players have done so, they each draw until their hand is refilled. Second Chance: This card lets you retry an action that has been ruled a failure. Seize Initiative: May keep current card on the action stack for next round or immediately flip a new card onto the stack.